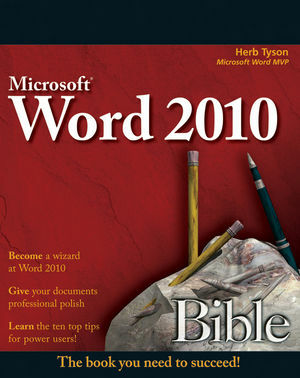 Microsoft Word 2010 arrives with many changes and improvements, and this comprehensive guide from Microsoft MVP Herb Tyson is your expert, one-stop resource for it all. Master Word's new features such as a new interface and customized Ribbon, major new productivity-boosting collaboration tools, how to publish directly to blogs, how to work with XML, and much more. Follow step-by-step instructions and best practices, avoid pitfalls, discover practical workarounds, and get the very most out of your new Word 2010 with this packed guide. Herb Tyson is a computer consultant and trainer in the Washington, D.C. area. Widely recognized for his expertise, Herb has received the Microsoft MVP (Most Valuable Professional) award each year for over 14 years, in recognition for helping thousands of Microsoft Word users. His clients have included IBM, Wang, the Federal Government, and the World Bank, as well as numerous law firms and publishers. 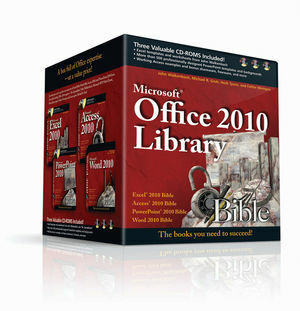 He is the author of more than a dozen computer books, including the Microsoft Word 2007 Bible.